Comm Charamba declined to give finer details of the case. Zimra Commissioner-General Ms Faith Mazani’s assistant, Mr John Chakasikwa, confirmed that they were after Magaya over the tax issue. 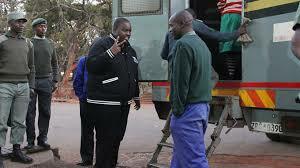 He paid $2 000 bail that was accompanied by stringent conditions.Kazhanje is already on remand facing a similar charge.